Home/ You’re Engaged! Now what? When it comes to the big day, a bride wants everything to be perfect. With so much to do, you can easily get distracted in picking out the right dress, that perfect makeup, hair and look, but what about your skin? Rejuvenating the skin, is the way to make sure you have a radiant natural glow. Timing is everything and we have options as early as 3 months in advance to help make sure you achieve a flawless complexion on your big day! 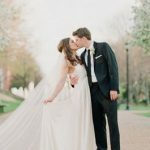 Some brides get lost in the planning but I have created a timeline of non-invasive procedures that are simple and will make your wedding day complete. 1. Microneedling is a perfect way to prep your skin to glisten or glow. The purpose of this treatment is to stimulate collagen production within the skin, improve acne, scaring and reduce signs of aging. The tiny needles used will penetrate the dermis by activating the body’s natural healing response resulting in cell turnover and increased collagen. After the treatment you may experience some redness or discoloration for up to 48 hours. This is important to keep in mind when preparing for your big day, as it can take up to 4 weeks to see the results from the treatment. Microneedling has the ability to trigger new cell production and is the most sought after treatment for that youthful glow that minimizes fine lines and wrinkles. With minimal downtime you will be glad you said …”I do” to a microneedling treatment or two. 2. “Baby” Botox is a quick fix to contour fine lines for a natural look. A very popular treatment that prevents the formation of fine lines and wrinkles. It is perfect for an overall natural and youthful appearance. This is usually seen with younger or new patients, and involves receiving a smaller dose of Botox. The lower dose allows for more movement of the face, creating that natural look. As you are approaching your big day, “Baby” Botox could be the perfect treatment to ensure skin that is youthful and hydrated. If you are last minute cramming for a beauty fix, say “I do” to this treatment and have that natural baby face on your big day. “Baby” Botox can be done as close as 2 weeks before the big day in order to show results. However, planning ahead for your skin care is very important. The best way to stop wrinkles, is to prevent them from forming all together. IPL is a non invasive treatment to remove unwanted markings on the skin. IPL treats a wide range of skin issues, but could mostly benefit brides with its ability to help with rosacea, and uneven skin texture. This treatment eliminates lines and wrinkles by increasing the collagen growth within the skin. IPL is a perfect treatment before weddings due to its ability to focus on certain minimal spots or any part of your body. If you have a troublesome area that is just simply aggravating, what an easy fix! Schedule your IPL appointment now to insure younger, tighter, flawless skin on your big day! Say “I do” to a quick, painless procedure that leaves your skin smooth and camera ready. Having troubles with sun spots, aging, or acne? Retin-A could be the perfect ingredient for you. Many brides getting married in the summer months often face troubles noticing un even markings on the skin. Retina-A is a specific from of Vitamin A with several benefits including unclogging pores, treatment directly towards acne, and the disappearance of sun spots on the skin. When looking to begin a new skin care product it is important to find the specific ingredients directly associated with the troubles you are facing to insure achieving maximum benefits. Remembering that stress does show on your skin! Keeping this in mind especially the night before the wedding is very important. Small mini facial masks with hydration would be recommended as you near the big day. Say I do to an individualized package at Rejuvenation MedSpa that will make you confident and beautiful as you dress in white and begin the next chapter of your life.